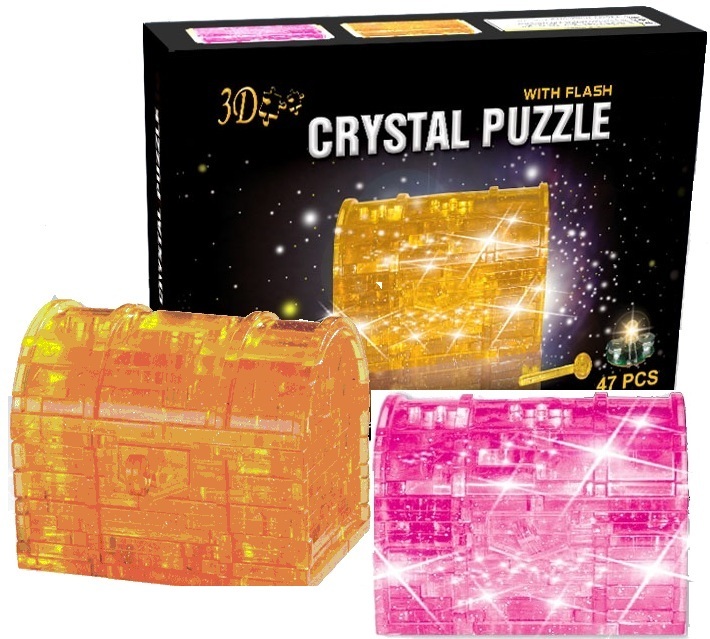 Approximate Dimensions: Completed size 3" x 3" x 2"
Tease your brain and delight your eyes with these fun Flashing Treasure Box Crystal shape innovative 3-D puzzles. 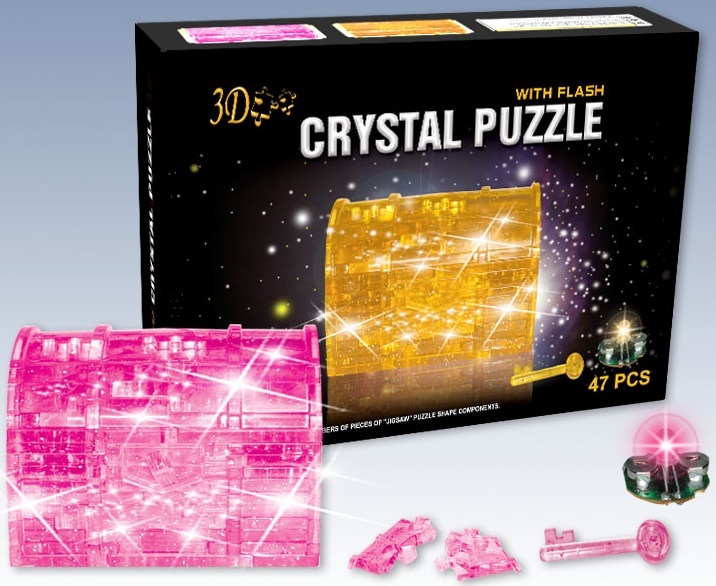 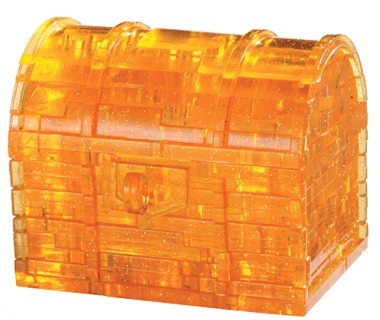 Comes with motion-activated LED that flashes, which will light up the entire Crystal Treasure Box. 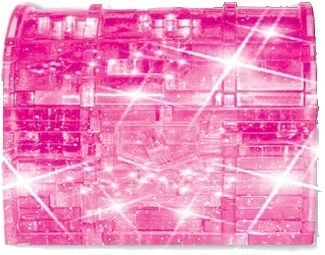 Our Flashing Treasure Box contains 47 pieces and are available in Gold or Pink.